Starz has announced today that Lee Majors (Do You Believe) will play the role of Brock Williams, Ash's father, and Ted Raimi ("Xena: Warrior Princess," Spider-Man) will play the role of Ash's childhood best friend, Chet Kaminski, in the Starz Original series "Ash vs Evil Dead." The series was previously renewed for a second season and will return in 2016. Majors started his television career in "The Big Valley," going on to "The Men from Shiloh," to "Owen Marshall Counselor at Law," to "The Six Million Dollar Man," to "The Fall Guy," to "Tour of Duty," to "Raven" and countless television appearances on many series, specials, award shows and movies. He began his film career with Will Penny and Charlton Heston. Majors recently completed filming two movies Almosting It and Do You Believe. Majors will start filming on two feature films this summer, plus he has a lineup of several other feature films and television shows to be filmed in 2015/2016. Cult horror movie favorite, Ted Raimi has appeared in all three original Evil Dead movies. His additional feature film credits include Midnight Meat Train, Shocker, Born Yesterday, Patriot Games, Clear and Present Danger, The Grudge, Oz the Great and Powerful as well as the Spider-Man series of films. Television credits include "Supernatural," "Twin Peaks," "CSI: NY," "Xena: Warrior Princess," as well as "SeaQuest DSV" among many others. The second season of the Starz Original series "Ash vs Evil Dead" will be 10 half-hour episodes. 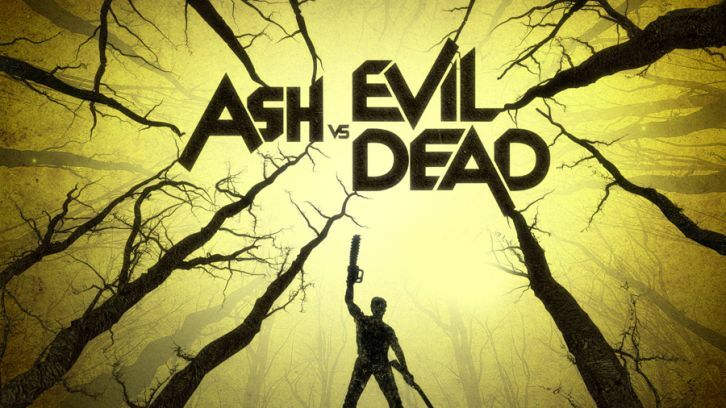 The cast is led by Bruce Campbell (Evil Dead, "Burn Notice") in the role of Ash Williams; Lucy Lawless ("Salem," "Spartacus") as Ruby, who now possesses the powerful Necronomicon; Ray Santiago ("Touch," Meet the Fockers) as Pablo Simon Bolivar, Ash's loyal sidekick dealing with the trauma he suffered in the cabin; and Dana DeLorenzo (A Very Harold & Kumar 3D Christmas) as Kelly Maxwell, who, grief-stricken after the death of her parents, plots revenge against The Evil Dead. Sam Raimi serves as executive producer with Rob Tapert (Evil Dead, "Spartacus," Xena: Warrior Princess"), Bruce Campbell (Evil Dead, "Burn Notice") and Ivan Raimi (Drag Me To Hell, Spider-Man 3) along with Craig DiGregorio ("Workaholics," "Chuck") who serves as executive producer/showrunner. Aaron Lam ("Spartacus") and Moira Grant ("Spartacus") serve as producers.